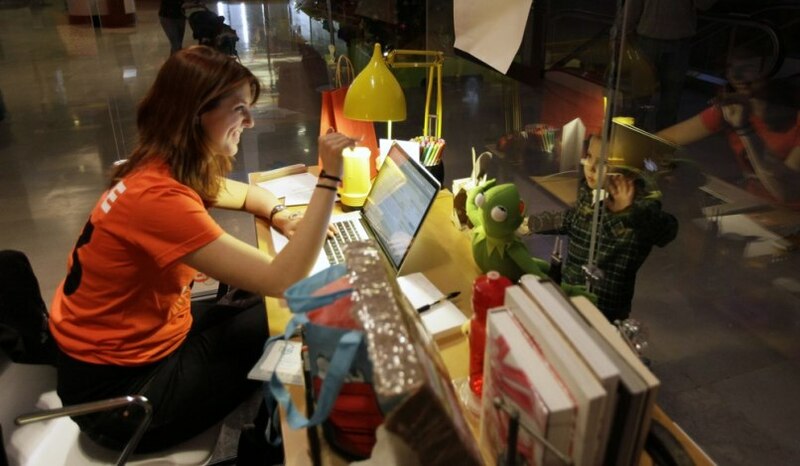 Kate McGroarty greets a young visitor Nov. 1 as she spends time working in her "cube" during 30 days of living at the Museum of Science and Industry in Chicago. As the winner of the "Month at the Museum" contest, one of her main jobs is to use social networking sites to tell the public about her experience. Her month ends Nov. 18.